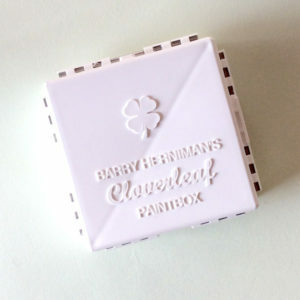 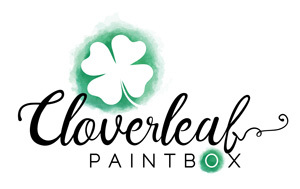 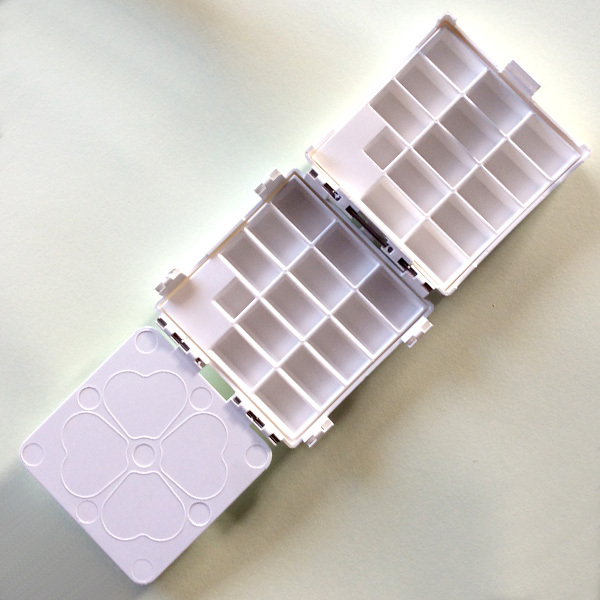 The Cloverleaf Paintbox is a sturdy, lightweight compact box that has ample deep wells for mixing washes plus a removable central compartment for paints in both tube and pan format. 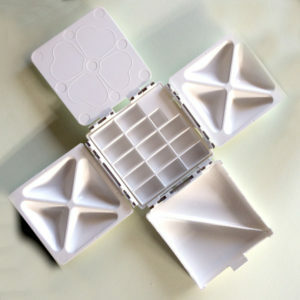 Made from durable, high impact plastic that is easy to clean and can even be put in the dishwasher. 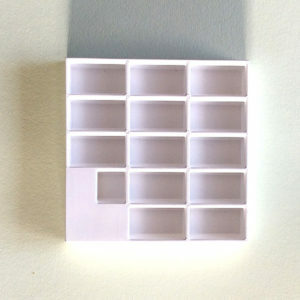 An extra tray for the artist who wishes to have another palette to interchange with the one in their paintbox.